ATLANTA, April 12, 2019 /PRNewswire/ -- With extra money in the pockets of car shoppers from tax refunds, April typically kicks off one of the strongest selling months of the season. Many Americans are eager to use their refunds toward a vehicle they have been eyeing. Looking to get the most bang for their buck, consumers should look at a certified pre-owned vehicle. "After completing the tedious task of yearly taxes, consumers are often rewarded with a refund they can apply toward a major purchase, like the down payment on their next vehicle," said Brian Moody, executive editor of Autotrader. "The refund can be stretched even further by considering a CPO vehicle, allowing shoppers to drive away with a car that is as good as new, but at a better price." Acura's certified pre-owned program touts an extra year of comprehensive coverage and powertrain coverage for up to 7 years or 100,000 miles from the original sale date. Through the end of April, Acura is offering 1.99 percent for up to 60 months on certified pre-owned RDX models to qualified shoppers, which is a desirable long term for a used vehicle. BMW's certified pre-owned program offers one additional year of comprehensive warranty coverage with no mileage limit -- coverage that can be extended to additional years for an extra fee. In April, BMW is offering several incentives to entice drivers further. The best deal is that all certified pre-owned 2015-2017 BMW models are offered with 1.99 percent interest for 24 months to qualified buyers. But certain CPO models have an even better offer -- like, for instance, 2015-2017 BMW 3 and 4 Series models, which are available with 1.99 percent interest for up to 48 months, or 2.99 percent for up to 60 months. Buick's certified pre-owned program offers strong coverage, touting an additional year or 12,000 miles of comprehensive coverage, along with 6 years or 100,000 miles of powertrain coverage from the original sale date. In April, certified pre-owned versions of the Buick Enclave and Encore crossovers are not just available with this warranty, but also a great deal: through the end of the month, qualified shoppers can get 0.9 percent interest for up to 36 months on certified pre-owned Enclave and Encore models. Cadillac's certified pre-owned program is among the best in the car industry, as it offers 6 years or 100,000 miles of comprehensive coverage from the original sale date. In April, Cadillac offers an extra deal to make the warranty coverage even more appealing for the ATS, the Escalade and the SRX models. Through the end of the month, qualified shoppers can get 2.9 percent interest for up to 36 months on certified pre-owned versions of all three of those models -- a desirable deal. Ford's certified pre-owned program includes two warranties -- one that touts comprehensive coverage for an additional year or 12,000 miles beyond the factory warranty, and another that boasts powertrain coverage for up to 7 years or 100,000 miles. In April, Ford's CPO program is even more enticing than usual as the automaker is offering qualified buyer an appealing interest rate of 4.49 percent for up to 60 months for its certified pre-owned vehicles, which is a good deal over a longer term -- especially for a used vehicle. Land Rover's certified pre-owned program is among the very best, as it boasts 7 years or 100,000 miles of comprehensive coverage from the original sale date, providing excellent peace of mind. In April, you can combine the two and get a great deal thanks to Land Rover's CPO incentives: Land Rover is offering 0.9 percent interest on CPO Discovery Sport models for up to 24 months and 1.9 percent on most Discovery Sport models for up to 36 months, both excellent deals for qualified shoppers. Nissan's certified pre-owned program doesn't extend the brand's comprehensive coverage, but it adds additional coverage to the brand's powertrain warranty -- up to 7 years or 100,000 miles of coverage from the original sale date. Through the end of April, Nissan has another appealing offer for qualified buyers looking to finance a certified pre-owned Leaf or an Altima: Nissan is offering 3.99 percent interest for up to 60 months on any certified pre-owned version of those cars, which makes them especially appealing this month. To see Autotrader's full coverage of the CPO programs mentioned and available inventory, please visit https://www.autotrader.com/car-deals/cpo-deals-april-2019-281474979921470. For more information and news from Autotrader, visit press.autotrader.com, follow us on Twitter at https://twitter.com/Autotrader_com (or @Autotrader_com), Instagram at https://www.instagram.com/autotrader_com/ (or @autotrader_com), like our page on Facebook at https://www.facebook.com/autotrader/, add us on Snapchat (@Autotrader_com), and get updates at Google+ at https://plus.google.com/+Autotrader. Autotrader is the most recognized third-party car listings brand, with the most engaged audience of in-market car shoppers. 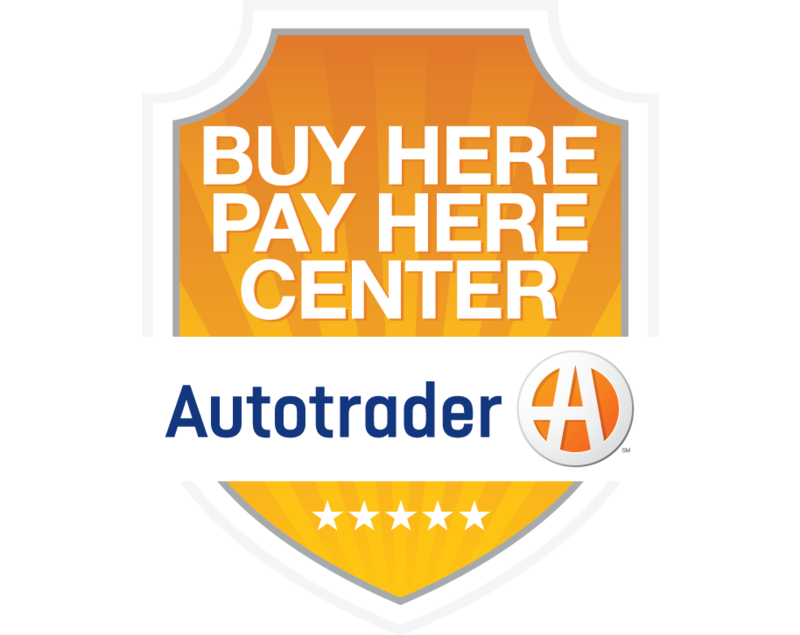 As the foremost authority on automotive consumer insights and expert in online and mobile marketing, Autotrader makes the car shopping experience easy and fun for today's empowered car shopper looking to find or sell the perfect new, used or Certified Pre-Owned car. Using technology, shopper insights and local market guidance, Autotrader's comprehensive marketing and retailing solutions allow consumers to build their deal online, and guide dealers to personalized digital marketing strategies that grow brand, drive traffic and connect the online and in-store shopping experience. Autotrader is a Cox Automotive™ brand. Cox Automotive is a subsidiary of Cox Enterprises. For more information, please visit http://press.autotrader.com.